We can help. 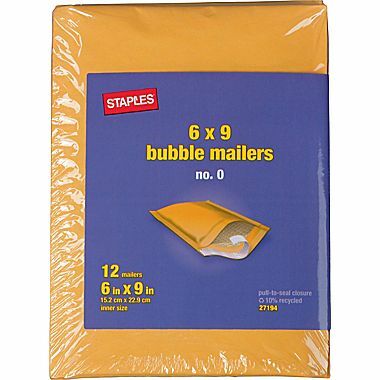 Get a full range of mailing & shipping supplies. The perfect solution for your moving or shipping needs. Make packages and boxes secure and easier to ship and store. Protect packages and fragile contents during shipping. Add protective layers to safeguard valuables during shipping. 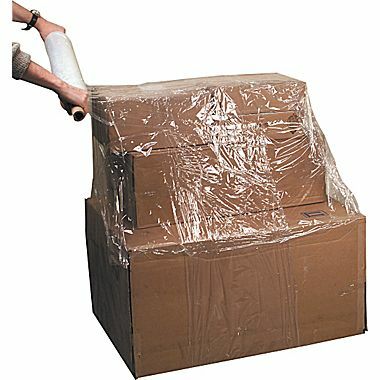 Protect packages during shipping by using corrugated mailers. Create custom organization for the classroom, home, & office. Mail letters & documents; distribute internal communications. Secure boxes & large items, preventing them from breaking. Provide protection for items stored or shipped on pallets. Transport large items and goods safely and efficiently. 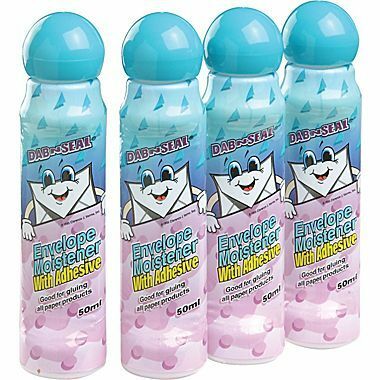 Dab 'n Seal Envelope Moisteners with Adhesive, 50 ml. Dab 'n Seal Envelope moistener with adhesive is easy to use and free from acid. The no-leak applicator is ideal for gluing all kind of paper products. 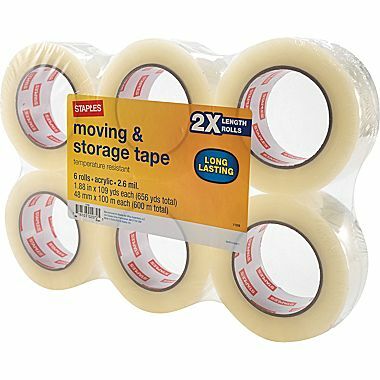 This long-lasting moving and storage tape is used for sealing boxes and safely mailing packages. It's a versatile packing tape solution that sticks! 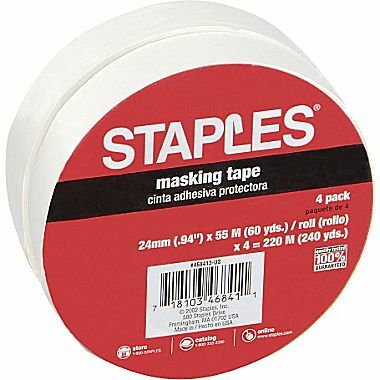 Staples masking tape features pressure-sensitive adhesive and resists curling. It measures .9" x 60 yards and is ideal for general-purpose use. Measures 6" x 9", features peel-and-seal closure, and is light in weight - providing an added layer of protection for shipping. 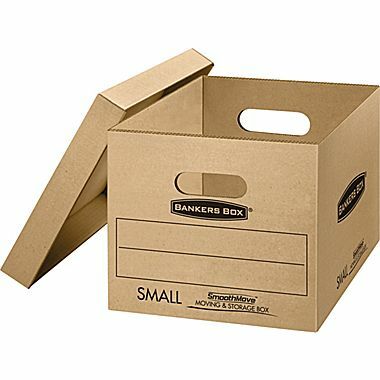 Take the stress out of packing and moving your office with these extra-strong, easy-to-use boxes from SmoothMove. Assemble in seconds, without tape. 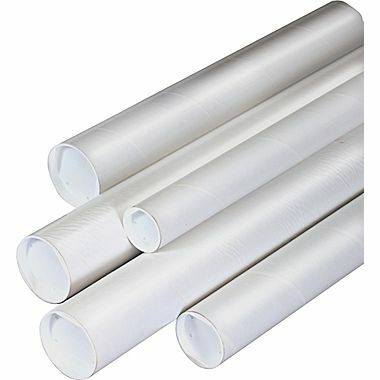 This roll of economy extended-core stretch film measures 20" x 1,000'', and comes with an easy-to-grip 1 5/8" diameter core that serves as handles. 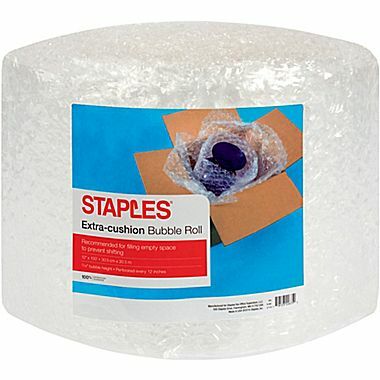 This bubble roll protects your fragile items during moving, storing and shipping, with 5/16" bubble cushioning for added protection against shocks, dents and scratches. 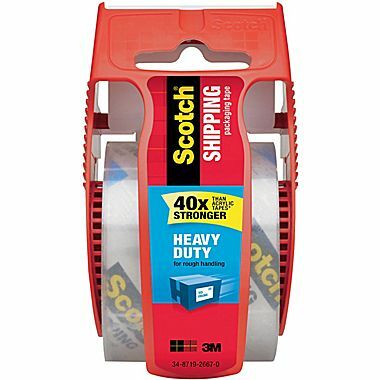 Scotch Heavy Duty Shipping Tape is a shipping tape ideal for heavy packages or reinforcing the corners of cardboard boxes. 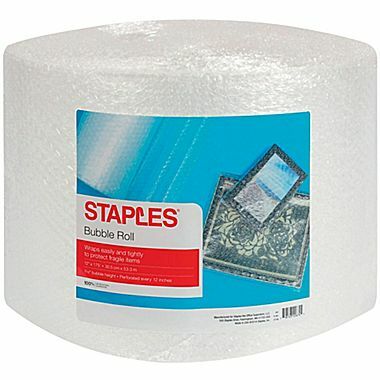 Staples® White Mailing Tube, 3" x 36"
Staples white mailing tube measures 3" x 36" and features end caps to keep the contents safely in place. Staples is the world's largest office products company and a trusted source for office solutions, providing products, services and expertise in office supplies, technology, furniture and Copy & Print services. Staples Flag City Station offers a first class selection of top brands including Apple, Microsoft, HP, Canon, Epson and Dell. You will find paper, ink and toner and the latest tech and cleaning and breakroom supplies, plus print and copy services in our store. Plan your visit to 2350 Tiffin Ave today! Peanuts, popcorn and exploding bubble roll. Yep, sometimes shipping a package seems more like a circus than a routine activity. Leave the clowning around to others, and stick to these tried-and-true boxing and packaging safety tips to guarantee a smooth arrival.